I have enjoyed a most memorable trip to the UK and much of that wouldn’t have been possible without the assistance and good graces of a number of people and organizations. Many people gave of their time and expertise to assist me and organizations which now make accessing river beats on a day ticket basis proved to be a huge plus in arranging a wonderfully diverse angling trip. All in all I traveled over 1800 miles, fished nine different rivers in Wales, Cornwall, Wiltshire and Devon. I was granted the best of hospitality almost everywhere I went and the cooperation of fellow anglers significantly added to the value of the trip. I am most grateful to everyone who provided me with assistance. 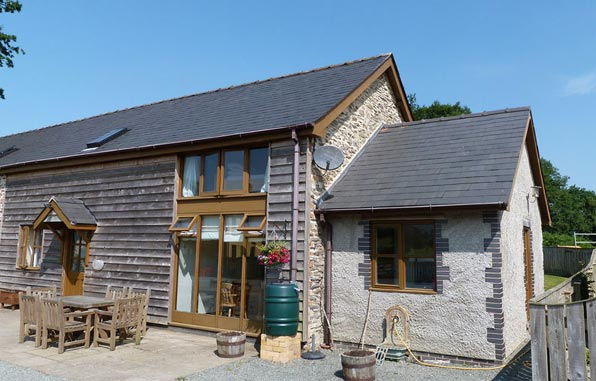 Pwllgwilym Holiday Cottages proved to be an ideal place to base myself during my time in Wales. I heartily recommend it to anyone wishing to explore this part of the world. Offering both Bed and Breakfast and Self-Catering options it is the perfect spot from which to explore Mid-Wales. If you are not an angler there is still much to do and see and Richard runs tours exploring many the local places of interest. Wake to the sounds of Red Kites calling to their young; enjoy an amazing breakfast and true Welsh hospitality. Paul Kenyon and Geoff Stephens of Fly Fishing Devon. Peter Hayes author of “Fly Fishing Outside the Box”. Access to a number of sections of river, particularly the East and West Dart, Cherrybrook, Cowsick and Blackabrook streams. 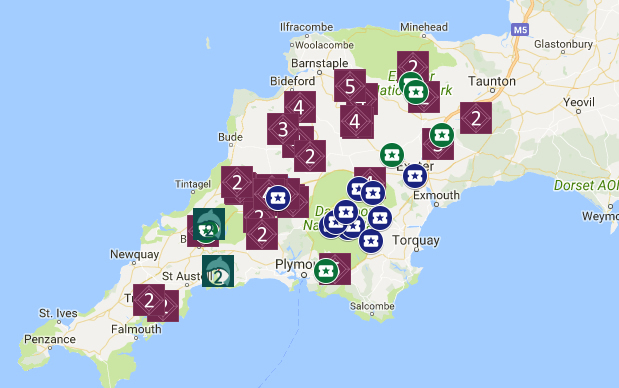 Permits are available from a variety of outlets including the Postbridge Post Office, Exeter Angling Centre, Arundel Arms, Two Bridges Hotel, Princetown Stoes and Post Office as well as others. Paul and Rosie Joynson at the East Dart Hotel. 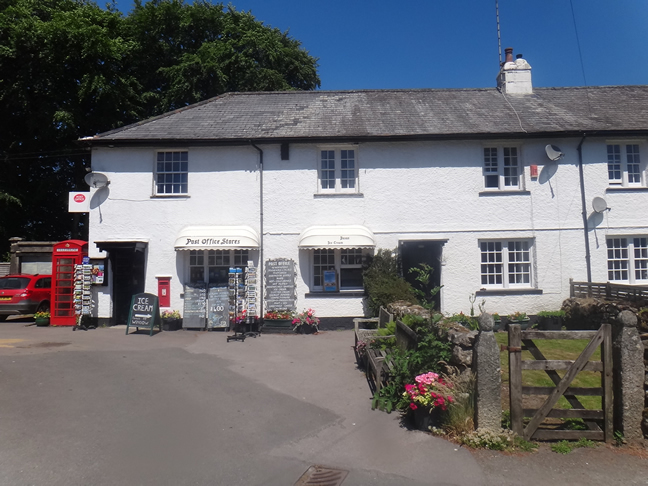 The second time I have stayed at the East Dart Hotel, a wonderfully central venue to fish the Duchy of Cornwall waters on Dartmoor. I just love the remoteness of this small town and the fact that the river is but a few yards down the road. It was again a pleasure to be there. A great spot if you wish to do some angling or walking on the moor.A lovely pub and great pub grub. Of course none of this would have been possible without the assistance and hospitality of my family in both Truro and Bude. It was great catching up with you all and for once enjoying some real summer weather down there in the South of England. The readers and followers of this blog, who have encouraged me to write up the various goings on and adventures during my trip. It is always encouraging to receive positive feedback and I am glad that so many people took the trouble to mention that they had enjoyed the journey with me.. I hope this will encourage you to make plans for your own trip. Either in the UK or elsewhere, because even a weekend away can be good for the soul, particularly a weekend away fishing.. It is probably time to get back to more serious writing about fish and fishing, but it has been a fun journey and I have memories which will last a lifetime. 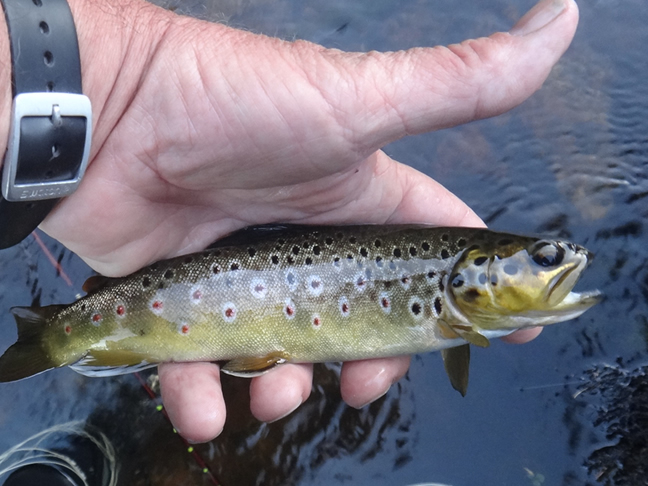 The diminutive Brown Trout of Devon and Seatrout on the Yealm River. 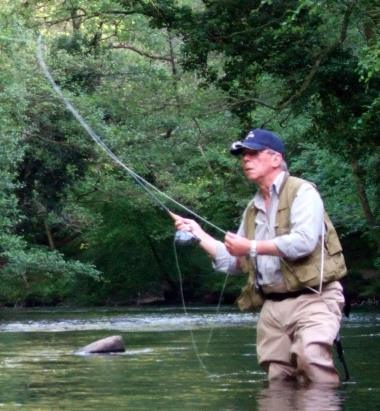 Having waved my rod at a number of rather pampered fish on the clear waters of the Wylye I was to head South to meet up with Geoff and Paul who specialize in guiding the waters of the Westcountry. They have been magnanimous hosts in the past, rolling out the red carpet when I call, I have to admit that I have done nothing to dissuade their erroneous interpretation that I am a fly fishing celebrity.. Actually they rather make me feel like one, which is both pleasant and embarrassing in equal measure. 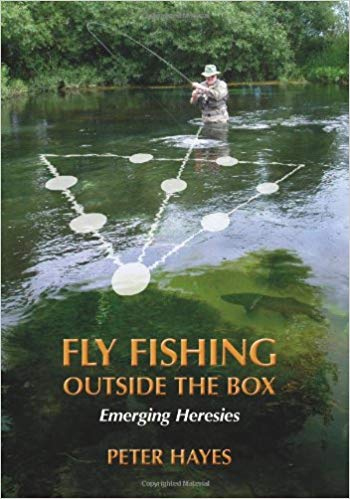 Again, that camaraderie amongst fly fishers comes to the fore, and I can’t tell you how often I have cracked an invitation to fish from the most general inquiry. To be fair, I would like to think that I offer the same and have hosted great anglers and casters in my humble accommodations more than once. It is simply something that fly anglers tend to do and it is a most welcome and joyous celebration of our “oneness”. So off I set, wending my way down South, the roadways getting larger and larger and then of course smaller and smaller again . Perhaps one can measure the hospitality of people in inverse relationship to the width of their roadways? Certainly, in my recent experience, the narrower the roads the nicer the people; maybe there is a PhD thesis in there somewhere? 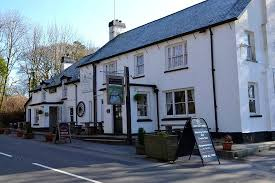 So it was that I booked into the East Dart Hotel in Postbridge, a place pretty much in the middle of nowhere and a hotel in which I had previously stayed, hosted by Rosie and Paul Joynson. Now I really like this hotel, not so much because it is particularly smart, but because it is unpretentious. There were no origami towel rabbits, but there was decent pub grub, a more than adequate breakfast , which I hasten to add I ate with both gusto and a clear conscience. There being no polyvinyl chloride aftermath. The turtles were singing a sigh of relief and I was rapidly climbing the tower of moral superiority after stuffing myself with poached eggs, beans, bacon and sausages. The Clapper Bridge on the East Dart at Postbridge. I do have to mention though that I was very keen to give Rosie a “comma” as a present on my departure. The notice in my room read: Well I shall show you. My mates know me as something of a grammar Nazi pedant when it comes to English, not that I don’t make my own fair share of mistakes. 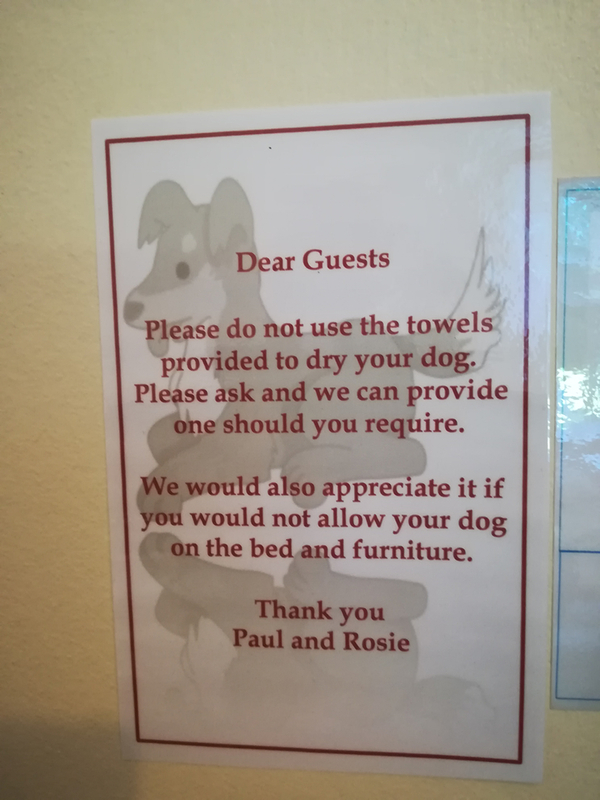 But I was sooooo very tempted to go downstairs and ask Rosie for a towel, suggesting that I had, as instructed, used the one provided to dry my dog..
You will have to forgive me, these things both amuse and annoy me, but I did laugh. 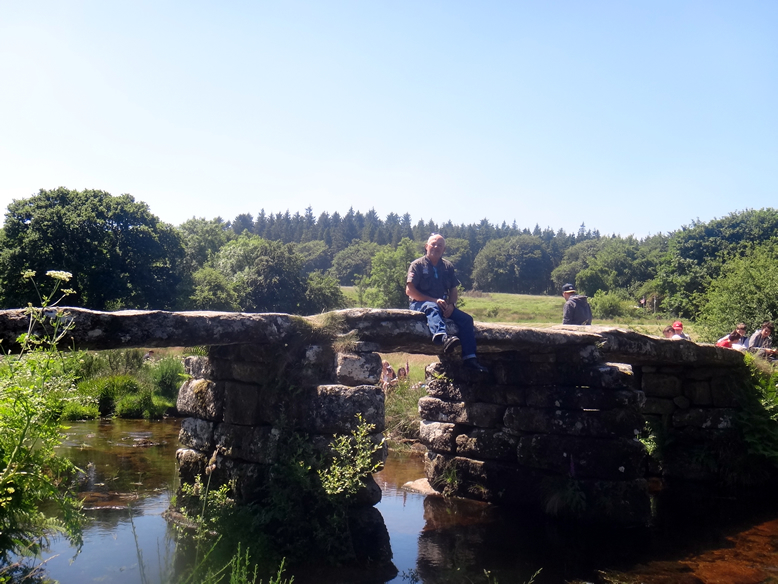 The waters of the East and West Dart were desperately low, and Paul and Geoff advised that I try to fish a bit lower down should I wish to wet a line. I had thought not to , but then watching from the bridge I noticed good numbers of fish , small maybe, but active and interesting to see. There was one particularly good fish hiding under some overhanging grass just upstream of the bridge, venturing out from its hidey-hole every now and then to intercept an insect. As it happens I came across the only two other anglers I met during my stay, relative novices and with apologies I suggested that I may be able to assist them. The first order of business being for one of them to target this large (relatively for this water) trout under the bridge. Both anglers were called Mark, and that made it easy for me, because I am hopeless with names. So hopeless that I am not entirely sure they weren’t both called “Paul”.. but they were the same, that I remember. So Mark #1 had a go at the fish below the bridge, spooking it, missing a few tiddlers and then remarkably , and briefly hooking it. I spent perhaps half an hour giving them some advice, which seemed well appreciated, one doesn’t with to foist one’s views on other anglers. And they set off for a night out on the stream. They had apparently stashed their camping gear earlier on in the day. What a lovely way to fish. I couldn’t resist and coughed up twelve pounds for a permit to fish what I knew would be for a few hours over tiny fish, but it was worth it. To date I hadn’t blanked on any river during my stay and wanted to tick off the East Dart, even with a pretty small tick. I drove a little downstream on the East Dart and fished for perhaps two hours in fading light. The fish were obliging if small and I had a wonderful time. It was quite tricky angling because the water was so low that many plants had grown up in midstream, representing hazards when casting. Apparently then my stature as a fly fisherman grew in leaps and bounds on the East Dart. The next day I was to meet up with Paul Kenyon to fish a section of the Upper Yealm, word was that the water was very low but there were some seatrout in the river. I met up with Paul after a tortuous and Sat Nav directed drive down the smallest and most serpentine lanes, with the phone declaring at some point that “You have reached your destination” when I knew I had not. But in the end I drove into the pub car park just as Geoff arrived in his Jimny and we were good to go and have a look at the river. Paul is a real gentleman and despite my protestations refused to carry a rod, (it must be that imaginary and cultivated celebrity status that I have been trying to maintain). First order of business wasn’t to fish, but to see if we could spot some of the really solid Sea Trout which were languishing in the river waiting for a flood and the opportunity to head further upstream to spawn. I thought Paul was joking when we started a Monty Pythonesque, slow walk from the middle of the field. The river wasn’t even in sight at that point, but the Sea Trout are so spooky that one has to proceed with extreme caution. In the end we spotted a few, fascinating things they are, and tricky to see, they barely move, trying to hang on to reserves of energy that they will need to reach the spawning grounds when the rain comes. Fish in a river are tricky to spot at the best of times. Fish that don’t move are near impossible and Paul’s eagle eyes and experience revealed fish that took me minutest to locate. One can obtain day tickets for the Dutchy Waters from a variety of outlets including the Post Bridge Post Office. The Sea Trout is an unusual character in that it is exactly the same species as the brown trout which were now fiddling about next to it. They aren’t just cousins but brothers and sisters and Geoff was explaining to me that the Sea Trout have a very positive impact on the brown trout stocks in the river. Having done some minor on-line research it seems that more female trout head to sea and live an anadromous (migratory) lifestyle. That makes some biological sense as the energy demands on females to produce eggs is far larger than the demand on the males to produce milt (sperm). There doesn’t appear to be any real answer to the question of which trout decide to make the move. There are obviously benefits in terms of better food supply in the ocean and Sea Trout are mostly found in rivers with poor nutrient qualities. But there also great challenges in this migration. It would seem that having essentially two lifestyles within the same species offers some level of protection against a local disaster, where at least some of the stocks are not resident all the time. Of course the larger and better fed females are able to produce a lot more eggs having grown in size, another advantage for the species. Studies also tend to show that many resident male brown trout will participate in Sea Trout spawning, and it is suggested that those that do are more than likely the progeny of Sea Trout in the first place. Biologically the fish are identical and it appears that there is a sort of continuum where the cross over from Trout to Sea Trout is in a constant state of flux. 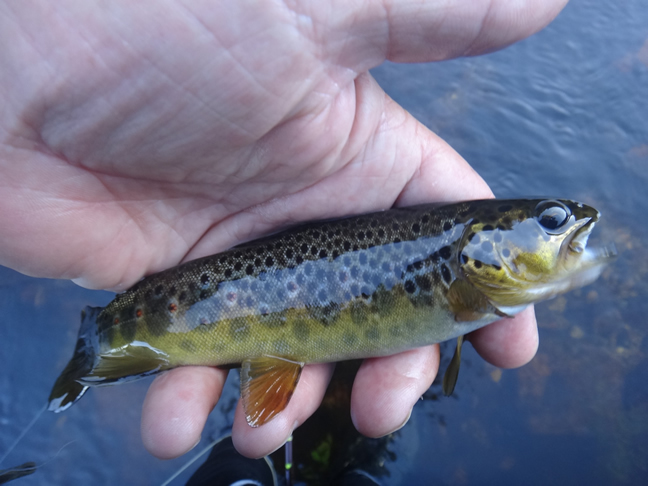 It is though thought, that the Sea Trout females make a significant contribution to Brown Trout stocks, which as Paul pointed out, makes it all the more important that returning female Sea Trout are released. As a slight aside in his book “Fish that Fake Orgasms, and other zoological curiosities” (St Martins Press: ISBN 978-0-312-37116-6), Matt Walker describes how Brown Trout (Salmo Trutta) and therefore quite possibly Sea Trout fake orgasms. By gaping and faking it they get males to ejaculate prematurely , thinking that they have successfully mated and then the female will move off to look for a better suitor. So maybe those precocious parr are being duped at least some of the time.. an interesting thought. It is an interesting evolutionary construct, with some of the population out of the river , they are protected from freak occurrences which may otherwise wipe them out. Essentially the Sea Trout/Brown Trout complex is the absolute epitome of the biological “Don’t put all your eggs in one basket” survival strategy. So we crept up and were able to see some massive (by trout standards) fish lying low in the stream, they are incredibly tricky to locate, with no movement to give them away. Mind you a missed step or a waved arm and the massive bow wave of “something” tells you that you missed your chance. In the end I couldn’t resist the temptation to wet a line and catch a trout, I had managed not to blank on any stretch I had fished to date, this was the final hurdle. I didn’t care how small the fish was, and I didn’t’ wish to disturb the Sea Trout. So I caught a small brown trout and we headed back for a delightful supper in Paul’s garden. After a most pleasant meal, under the watchful eye of Paul’s most lovely and generous Irish spouse, we returned to the river. Geoff met up with us and we watched a few more Sea Trout before I let loose on the local brownies. They are tricky to hook but I caught a few and in the end I suggested to Paul that I should stop. The last fish of the day was hooked well back in the mouth and I struggled in the failing light to release it without harm. I figured that it was time. I didn’t wish to hurt any fish and I had caught enough. We stood in the river, watching the bow waves of the now more active seatrout for a while and I simply marveled at the wonders of the natural world. That is what fly fishing gives me, peace, friendships, and a ringside seat to some of the most wondrous goings on on the planet. I had my last cast of this trip on the Yealm , with Paul taking video, the Sea Trout waking up, and the songbirds singing a farewell. What better way to spend an evening?